Kalivaki beach is located west of the port of Georgioupoli, 37 km east of Chania and 21 km away from Rethymno. 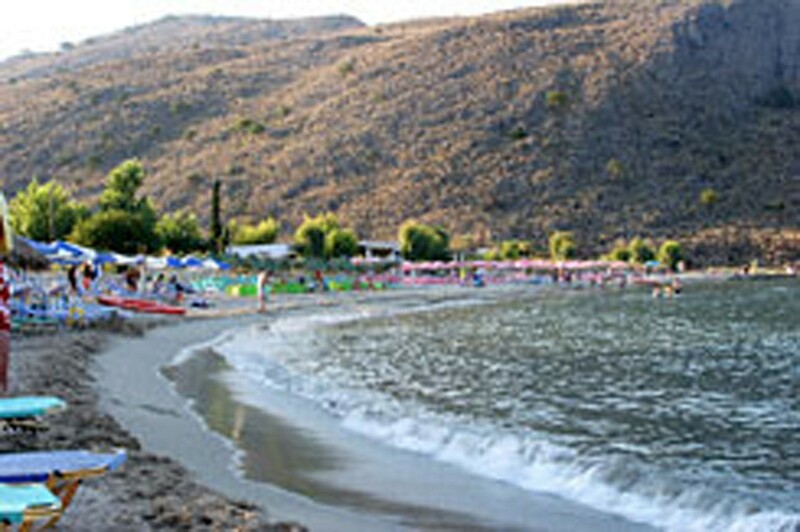 Almyros river, which has running water throughout the year, flows into Kalivaki beach. Kalivaki is a beautiful sandy beach with low dunes where visitors can enjoy swimming. The beach is well organized and there you will find umbrellas and restaurants near the coast, if you want to grab a bite after swimming. Kalivaki is a good choice for families with children, especially when it is windy, as the beach is more protected than the neighboring, crowded beaches of Georgioupoli. To get to Kalivaki, just walk to the west from the hotels in Georgioupoli until you reach the river. The sea is always cold because of the waters of Almyros.